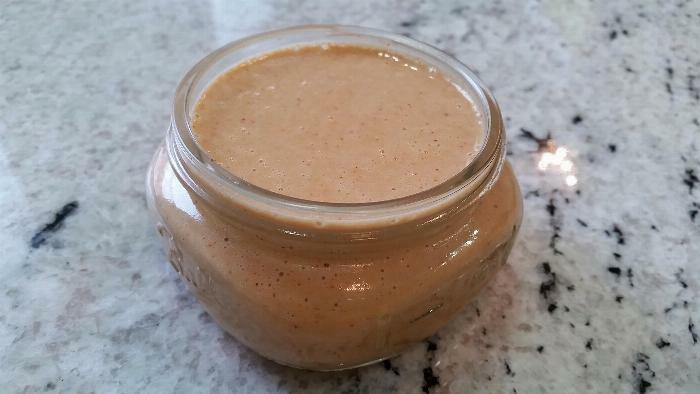 This Asian peanut sauce is good enough to eat by the spoonful (which I've been known to do). It works well as a vegetable OR noodle salad dressing, as well as a straight-up dip for meat, vegetables and even pita chips! See my "Vietnamese 'Bon Me' Salad" and "Thai Chicken Satay" recipes. 1Blend ingredients in a food processor until smooth. These proportions are what I've found suit my taste and preference. Feel free to adjust it as necessary for you. If the sauce seems too thin, add a small handful of peanuts to thicken. If not salty enough, add more fish sauce. If not spicy enough, more cayenne. If too salty, add a dash more lime juice. If not sweet enough, a tad more sugar. You get the idea. Note that the sauce is best served at room temperature and will thicken as it sits, especially when refrigerated. You can add a bit of water or coconut milk to thin it back out, or throw it in the microwave for a few seconds if desired. Keeps in the fridge for up to 2 weeks and freezes well.